Restoration Experts of North Carolina is a Raleigh Area restoration contractor that strives to mitigate losses using as little reconstruction as possible. If reconstruction is necessary, we’ll handle the job from start to finish through one point of contact. In addition to providing the services you expect from your restoration contractor, we’ve re-defined the concept of full service. By combining our in-house expertise with strategic partnerships with local businesses, we provide all you need, from contents replacement to interior design and decorating. Restoration Experts of North Carolina is your 100% one-stop restorer! RALEIGH-DURHAM-CARY NC – Feb 20, 2016 – Restoration Experts of North Carolina, based in the Raleigh Area, is a disaster restoration contractor providing mitigation services after fire, storm or water damage occurs. Restoration Experts helps homeowners and business owners minimize losses after suffering a fire or any other type of structural damages by operating quickly and taking the restoration project to completion. We are so pleased with the work Restoration Experts of NC did on our home. After a wild hailstorm came through we weren't sure what to do. Daniel and his crew (Dale, Frank and others) went above and beyond to repair and improve our home. They were considerate and super kind to my wife and two boys throughout our project. They did an amazing job working around the rainy weather and the end result is better than we could have asked for! Highly recommended for service and quality of work! The Holly Springs guys were GREAT at midnight last night when our washing machine decided to have a water party on the second floor that leaked through the ceiling to the first floor. Jake and his coworker had been up since 5am when they got to us. Despite surely being dead on their feet, they didn't show it. Their customer service, friendliness and confidence in their ability to handle the situation put us all at ease. Not only are they experts at their job... They are the nicest, most professional people I have ever worked with. They make sure you understand everything that is going on and what (and why) they are doing what they are doing. I felt as though I had a couple of friends in my house, helping take care of my kitchen leak. Best company to use, hands down! Great company to work for! They really look after their employees and also maintain a big focus on providing exemplary customer service! They are the most caring group of people. Respect the client & home. Can not say enough great things! 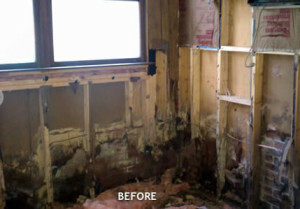 My husband and I hired Restoration Experts when one of our bathrooms had water damage due to a leaking toilet. Everyone from Restoration Experts was knowledgeable about how to handle our problem and clean it up. They took the time to explain what happened, how it could be fixed, and how they coordinate with our home insurance company to make the clean up/fix up process easier for us, the home owners. Restoration Experts technicians arrived on time every day, and were so helpful about getting us through this icky situation. We so appreciate their work. Kudos! Ryan S. and Team came to our rescue during Chrtimas. They responded to our call immediately and did excellent work. They were not only super friendly but explained everything they we’re doing and did superior research work. I would highly recommend Restoration Experts of NC for any of your restoration needs! We are in the middle of replacing our kitchen cabinets. While removing our island, the guys accidentally broke both our hot and cold water PVC pipes. Water everywhere. Our plumber recommended Restoration Experts over our concerns for how much water ended up under the hardwood floors. I called at 7pm and spoke to Hannah. To my amazement she came right over. She used a moisture sensing meter and found a few areas of concern. Two days later, she came back and checked again. To our relief, everything was good. I would not hesitate to use Restoration Experts again and highly recommend them to anyone in need of their service. I was very happy with my experience with this company and highly recommend them to anyone needing restoration services! They were professional, communicative, reliable, and did excellent work in my house. We had an unfortunate incident with a water leak from the upstairs bathroom. I called Restoration Experts and they helped tremendously with advising how to proceed. The work was done so well you can’t tell there was damage done. Every employee I spoke to was friendly and courteous. I will definitely recommend this company to anyone that needs their services. I am a college professor and consultant in the insurance industry. I say that only to let you know that I "know my stuff" when it comes to loss, disaster mitigation, etc. I chose Restoration Experts of NC and they did a great job for me. My home was water damaged due to a clogged line in my air conditioner in the attic. I was traveling for 3 weeks when it happened and came home to find black mold on the walls of my closet and a ton of wet, dirty clothing.Restoration Experts had a crew out within 2.5 hours of my requesting one. Their team was polite, professional, and very detail-oriented. They were also very compassionate with me as someone who had just suffered a somewhat severe property loss. They mitigated the damage quickly, and, set up equipment to dry out all my carpets, walls, etc. I am thrilled with the job that they did, and would use them again anytime. We had just sold our home in Holly Springs and were under contract. On a Friday morning, a pipe under my dishwasher burst, flooding and ruining our kitchen. After turning off the main line and a call to my insurance agent, the guys from Restoration Experts were at my house within an hour to do their job. Patrick and his team worked efficiently to tear up then restore the damage. I will continue to recommend this business to others. I have used Restoration Experts on a number of jobs. I have my own Real Estate firm and I count on Restoration Experts of NC to give me 110% each time I do business with them, as they too are a reflection upon me and my customers. I have always had great service and a complete understanding of each job that was taking place. They are very knowledgeable and have earned my trust through each service they have provided. Sewage Clean up for Kelly S.
We were very pleased with the prompt response to our project, attention to details, comprehensive quote for project, and timely scheduling. The staff maintained constant contact with us--start to finish--and followed-up after the project to ensure our satisfaction. We never had to leave multiple messages and wait for returned calls--they made the entire project a pleasant experience! We highly recommend Restoration Experts of NC! The crew did a great job for us replacing damaged siding. They were able to locate the original siding manufacturer and get the same color (our house is 17 yrs. old). They were here on time and did everything we contracted for. They were also easy to talk to and work with. I recommend them. I am thoroughly impressed with the responsiveness and promptness of this company. I experienced water damage to the master bathroom ceiling from the Hvac unit in my attic. I was referred to this company by a coworker. My initial interaction was nothing less than perfect. The receptionist was extremely courteous. She conducted several follow ups to ensure I was informed about the process. Dale Pope was also pivotal in ensuring this process was pleasant. Fortunately, I was able to get someone to come out quickly to assess the damage. Hannah Lennon (Marketing Manager) arrived at my residence on time and ready to work! She was prepared, professional and truly took the time to explain the extent of damage, need for water mitigation/mold concern and final repairs. Her professionalism truly set the bar...I highly recommend this company! OUTSTANDING SERVICE! Jake, Ryan, and everyone else that assisted with my water damage did an excellent job. They provided great communication and I was never confused about anything relating to the job or left in the dark. They’re polite, professional, and courteous. I HIGHLY RECOMMEND them to anyone who needs their services. They were prompt reliable experts dealing with my water damage and roof problems. I hope I don't need to, but I would use them again. Excellent company to work with. Very happy with our repairs from start to finish! © 2016 Restoration Experts of NC, Inc. All rights reserved. Restoration Experts of North Carolina is a Triangle-based restoration contractor that strives to mitigate losses using as little reconstruction as possible. If reconstruction is necessary, we'll handle the job from start to finish through one point of contact. We handle restorations needed after flood or water pipe failure, storm damage or fire-smoke damages.